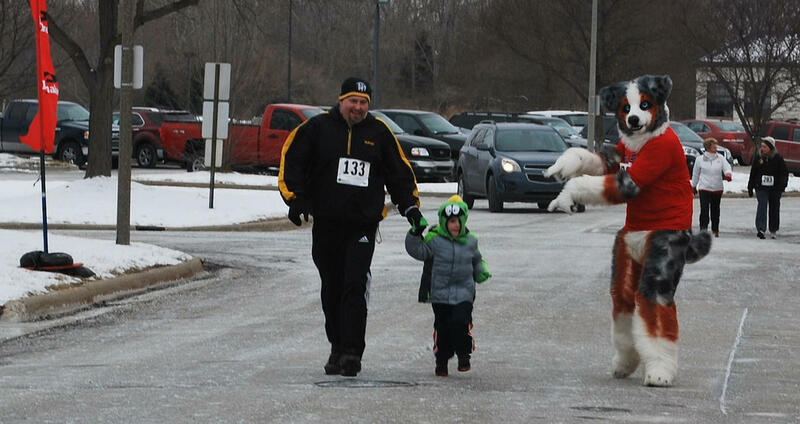 Here I am in the River Ridge Polar Bear 5K run, just a few miles outside of Babylon Gardens. That shirt looks kinda tight, huh? Those pictures are really cute! That looks like you had fun! Later on, I noticed that his photograph of us talking popped up in the Lansing state journal as part of the event coverage. Haha, awesome. Good work encouraging him! What is going on in the second picture? You look so freaked out! I'm not into furry, but you look awesome. Man, I wish you were my neighbor. You'd be one my best friends ever(but, I live in Canada and you live in the states so too bad).